Haver you ever faced a problem with a computer where you wished you could simply go back to how things were "yesterday", when all was well? There are so many things than can go wrong - particularly with more trusting users that click on every popup they see on the internet and that requests them to install the latest "internet accelerator/amazing video codec/malware remover/etc." More often than not, they'll end up with a computer filled with virus, malware, addon toolbars, and the like. Wouldn't it be nice if you could just simply reboot the system and have everything back in order? Thankfully... you can. Although I'm personally a fan of a program called Deep Freeze, today I suggest you a free alternative that will take care of things while costing you nothing but a few minutes of your time. I present you: Reboot Restore RX. How does it work? Well, it's amazingly simple. You install it and select which drives you want to protect, and from then on, no matter what you do on those drives, you'll get everything back to the way things were once you reboot. Meaning... suppose you delete an important windows folder that would render your computer useless. No worries... just reboot and it's back to normal. The same for any virus that thinks it got hold of your system... reboot and it's gone. And so on, and so on. Of course, you need to keep in mind that if you save something on your desktop or on that protected drive... it will also be gone. That's why this works best when you use a second partition for you data. Then there's also the thing with updates... using this system you'll need to manually disable the program, update your computer and then re-enable it again (there's a paid version that takes care of that for you automatically). But even so, for those cases where you want to ensure you'll have a "protected" error-proof windows environment... this is definitely something you should look into. Thanks for this article, I have been looking for a program like Reboot restore rx since microsoft stopped supporting Windows steady state. Nice writeup!. 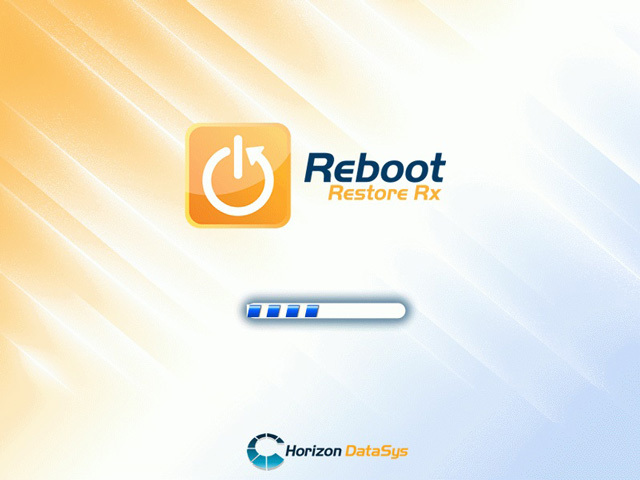 I have used Reboot Restore Rx several times. Their new version which is also a freeware has increased security level so it can be used public user machines as well. When you referred to the paid version- did you mean Drive Vaccine?? Hi Christopher, yes (don't know why they didn't keep the same name for the different versions).